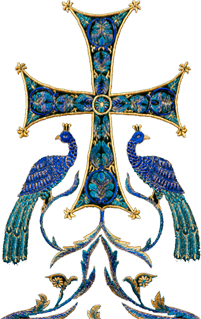 At the Little Entrance, Hieromonk Tikhon (Gayfudinov; abbot of Holy Protection Skete in Buena, NJ) was elevated to the rank of abbot. 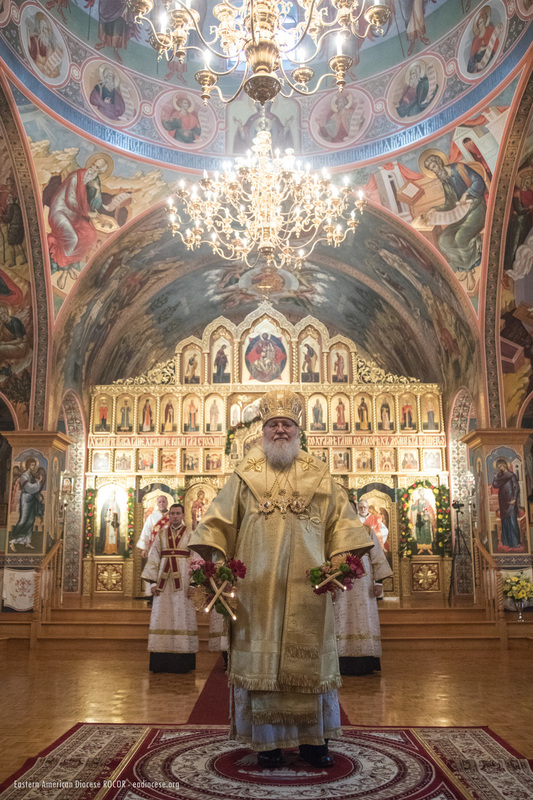 Concelebrating with His Eminence at Liturgy were Bishop Irinej of Eastern America (Serbian Orthodox Church) and diocesan and visiting clergy – representatives of the Greek Archdiocese, the Serbian Church, and the Patriarchal Parishes in the USA. 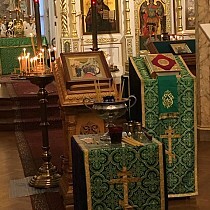 Praying in the altar was Archpriest Igor Tarasov, chancellor of the Patriarchal Parishes. During the communion of the clergy, Fr. Tikhon delivered the sermon. A multitude of the faithful communed of Christ’s Holy Mysteries. The clergy and faithful then held a procession around the cathedral, which included a requiem service at the grave of longtime parish rector Protopresbyter Valery Lukianov behind the high place. Metropolitan Hilarion congratulated all those present with the feast, thanking the clergy and choir for their joint prayer. The feast concluded with a festal luncheon organized for the clergy, choir, parishioners, and guests by the cathedral sisterhood. In Nevsky Park, horseback rides were prepared for the parish children (and some adults), as had been done in years past.